DESCRIPTION: They weigh about 0.2-0.5 oz. and have a wingspan of 7.9-8.3 in. 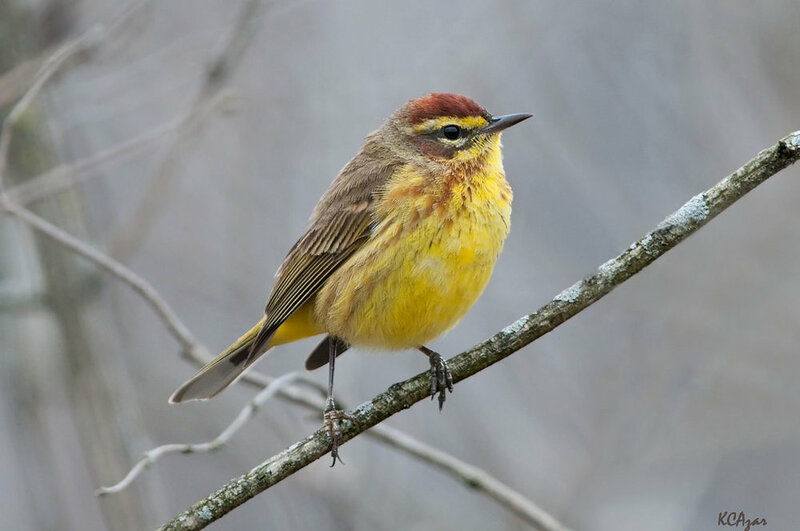 HABITAT:Palm Warblers live in the boreal forest of Canada. DIET: They eat insects, seeds, and berries. NOTES:Palm Warblers sometimes make a call that sounds like a Chipping Sparrow’s and also make a “seep” noise. They are protected on the US Migratory Bird list.